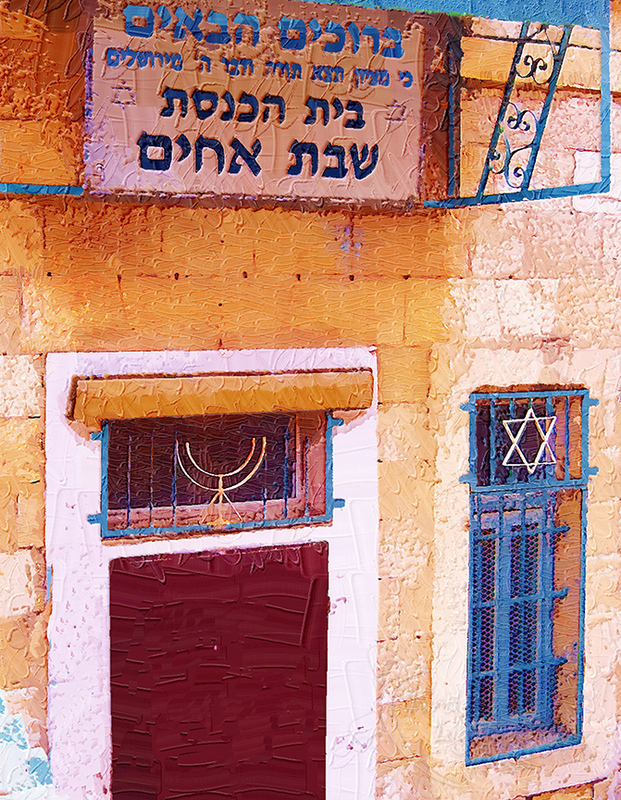 Whether you’re looking for Jerusalem prints to hang in your own home or Jerusalem note cards to send to a friend, you can find them here at Turtle Light Press. 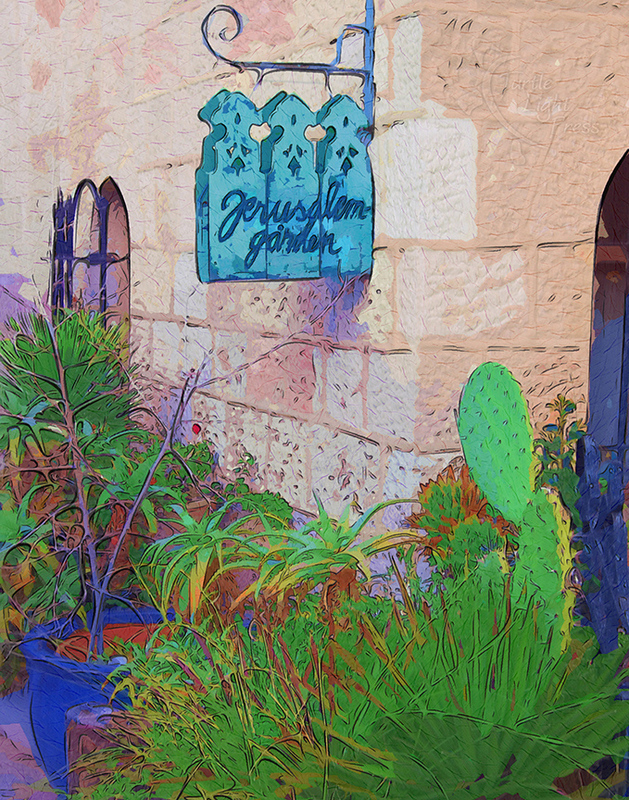 We have transformed many of our prints into Jerusalem note cards, which are perfect to send for the New Year or other occasions. Here, you will find Jerusalem note cards of the Yemin Moshe neighborhood, the shuk in the Old City, a synagogue, a quiet garden, an alleyway and others. 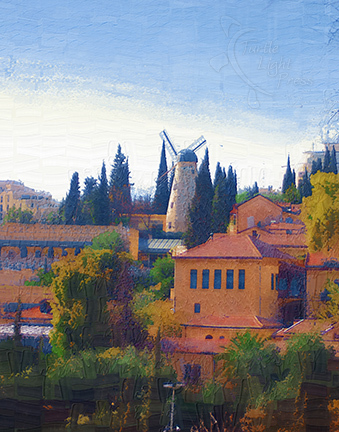 If you’re looking for a larger image that you can hang on the wall or give to a friend, please visit our Jerusalem prints. All of these images were made by Rick Black, the publisher of Turtle Light Press. He lived in Jerusalem for six years, studying at Hebrew University and later working for The New York Times. Rick often went for lengthy walks throughout the city and its picturesque neighborhoods. When he returned years later as a poet and artist, he tried to capture the spirit of Jerusalem in his artwork. 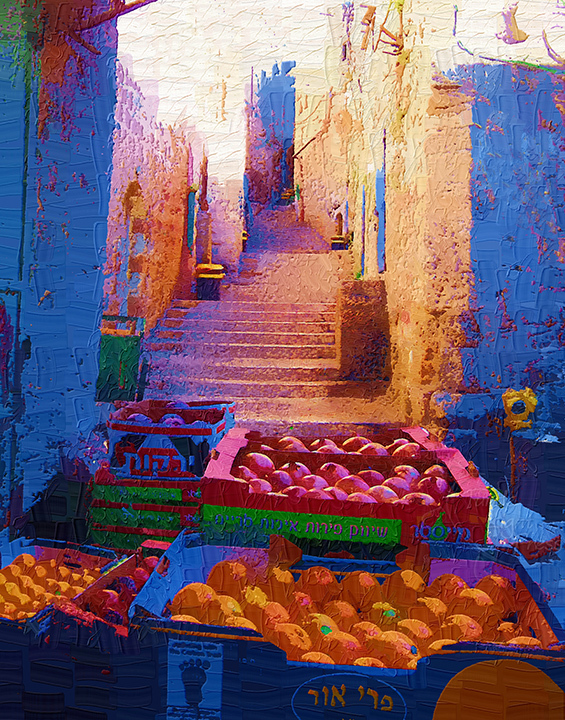 After taking photographs, he works on each one by applying various digital filters that saturate the color and intensify its emotional impact, thereby turning the image into a digital painting. 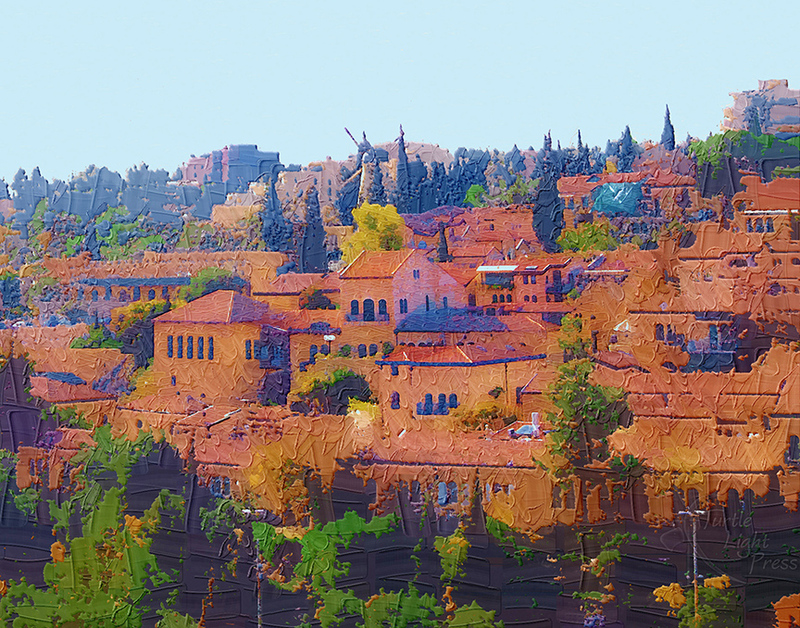 Built high in the mountains between the coastal plain and the desert, Jerusalem is a city that has inspired dreamers and prophets, conquerors and peacemakers. It has been sacked countless times, but it remains a symbol of peace. Pilgrims come from around the world to stroll down the narrow, winding alleyways of the Old City that echo with almost 4,000 years of human history. They come to Jerusalem to visit the Biblical city of David, to walk in the footsteps of Jesus, and to pray on the site from which Muhammad made his “night journey” to heaven. Even today, most pilgrims who arrive here dream of a day when people will find a way to live together in peace.